Miramare it is the first marine nature reserve created in Italy (1973) following the collaboration between WWF and the Ministry of Merchant Marine first and with the Ministry of the Environment and Territory later. 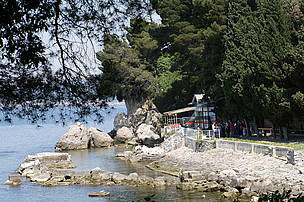 Miramare marine reseve is located in the municipality of Trieste. 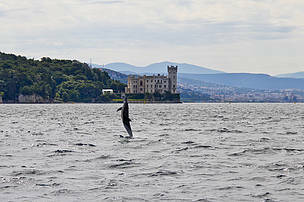 The reserve, with a depth of up to 18 meters, protects the waters that bathe the famous Miramare Castle. 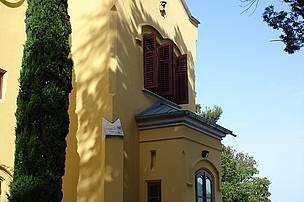 It lies at the foot of the Miramare promontory. The area is in fact a coastal marine habitat: the inland is rocky but gradually declines to rocks and muddy shores. This area conserves a rich underwater environment and represents a management example for marine protected areas. 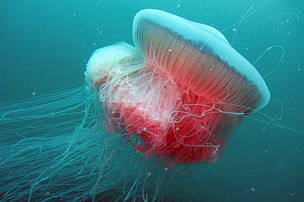 Among the many marine habitats particular importance is played by the area between the low and high tide limits; this is a very hostile habitat that can be colonized only by marine organisms that have adapted to survive out of water for short periods of time. The rocky promontory is home to a rich biodiversity of marine organisms; here the rocks are important anchoring sites for many algae and marine invertebrates. It also provides the necessary substrate for egg deposition and a refuge for many species of fish. The nature reserve extends for 120 hectares, 30 of which are the core of the nature reserve and the remaining 90 hectares act as a “buffer” zone. 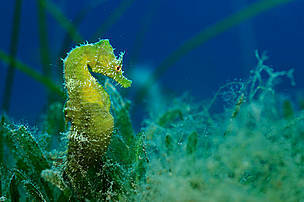 In this sea stretch organisms that are able to live in extremely variable conditions cohabit: the main species are the peacock blenny (symbol of the nature reserve), the brown algae of the high Adriatic Sea, the seahorse and many other species. 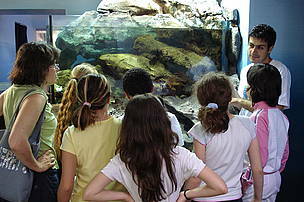 The nature reserve activities focus on environmental education and scientific research. Activities in the reserve also include scuba diving and sea watching trips. The nature reserve is accessible to people with motor disabilities. 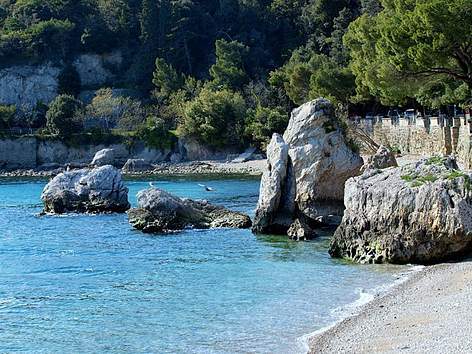 At Miramare the education experience starts at the recently renovated Visitor Centre that offers the possibility for both tourists and students to experience the pleasure of a virtual scuba diving among the marine reserve seabed. Visitors follows a short path that illustrates the High Adriatic habitats, staff are available for any information visitors may need. In the core area bathing, fishing and boat transits are prohibited, however educational scuba diving can be organized (only for already patented people) and sea-watching finalized to the knowledge of the Gulf of Trieste habitats. The paths stretch along the coastline and are focused on natural features, with the aim of gathering the as much information as possible about the Natural Reserve seabeds. There are three different tours: sea-watching tours, scuba diving tours, and blue weekends. Seawatching tours are organized during the summer for small groups (4-10 people) of adults or children of at least 8 years old. A basic swimming experience is required, but no diving experience is needed. Observations are made by swimming on the surface or by diving for short periods. Tours are from Monday to Saturday, on reservation. Scuba diving tours are from April to October, on Saturdays and Sundays for groups of maximum 10 certified divers. Dives follows a path with a maximum depth of 9 meters. A more rich program with scuba diving in different habitats and a course on marine biology is possible for groups of maximum 6 people. Divers must have good underwater mobility (essential for avoiding disturbance), and comply with nature reserve rules. It is prohibited to touch or pick anything non/living. Visitor Center, classrooms, laboratories, seaside paths, underwater paths, Marine Environment Education Center (MEEC). The rest of the year the nature reserve opens only on weekends from 10 am to 5 pm. 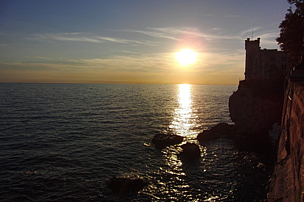 The Natural Reserve overlooks the Northen Adriatic Sea, in the Gulf of Trieste, 8 km north-west of the city of Trieste, between the Grignano tourist marina and the rivera of Barcola, that in summertime is the seaside destination of Trieste citizens. The protected area extends in the water area around the Miramare cape. The Regional Nature Reserve of Val Rosandra, the Regional Nature Reserve of Mount Lanaro and Mount Orsario, and the Regional Natural Reserve of the Faleise di Duino. 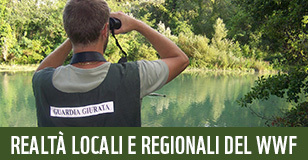 Moving in direction of Monfalcone there is the Regional Natural Reserve of Doberdò and Pietrarossa lakes. 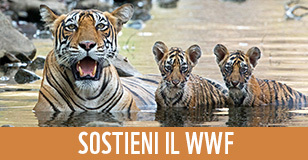 We also suggest the Regional Nature Reserve of the Isonzo mouth. 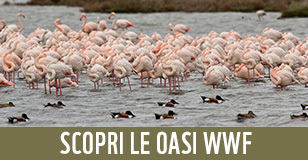 On the western part of the Gardo lagoon, there is the Regional Nature Reserve of Cavanata Valley, designated as a Ramsar site.